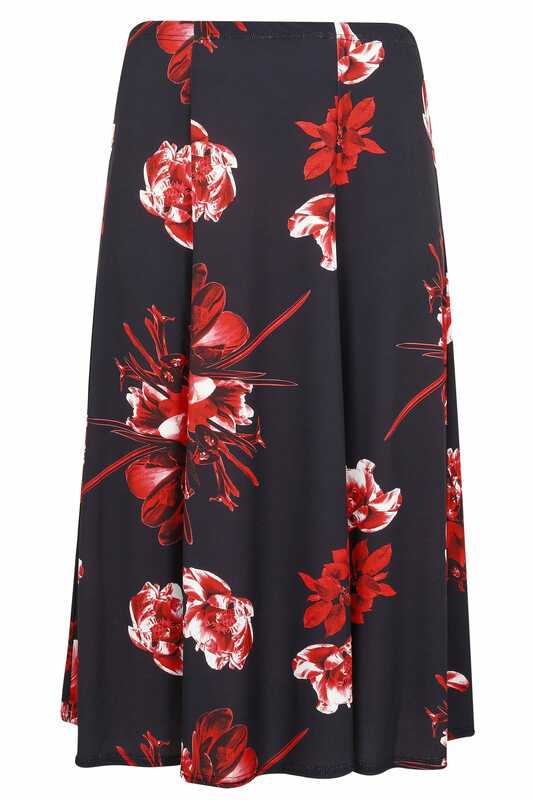 This elegant midi skirt is the perfect option for smart-casual styling. 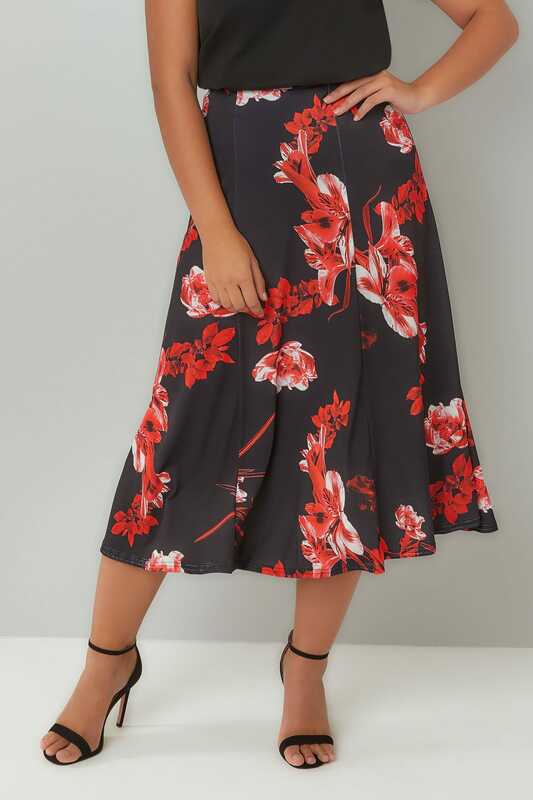 Woven from a super stretchy jersey fabric, it offers a slight flare to the hem for a flattering silhouette. 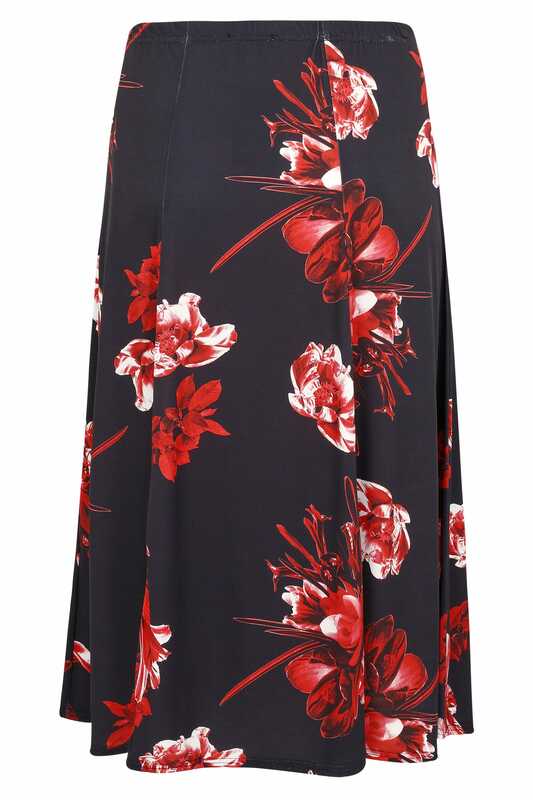 Boasting a bold floral print, it effortlessly combines both style and comfort.